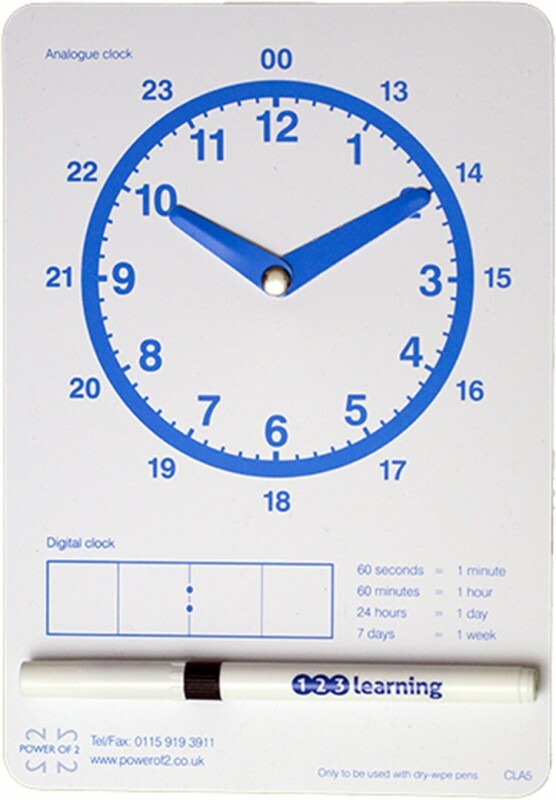 A pack of 10, A5 clocks, printed on durable PVC, great for teaching analogue and digital time. The clocks have moveable hands, which are fixed with a metal rivet. Long lasting, wipe-clean surface. 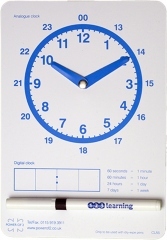 Includes a FREE Dry-Wipe Pen with each clock.